Traditional audits have limited value depending on size of company or number of claims. Audits typically occur long after the fact—sometimes as long as 12 months or more. Good luck trying to clawback overpayments discovered during an audit. We argue for continuous monitoring that can eliminate the need for auditing results. CM or continuous monitoring strengthens internal control procedures over drug rebate contract monitoring and provides independent periodic compliance audits of PBM performance. To ensure the plan sponsor or health plan corrects any findings from those audits, we develop, document and implement a monitoring process. This type of reverse auction allows PBMs to compete by providing the best value or most advantageous proposal and is not necessarily determined strictly on lowest price. PBM vendors provide proposed solutions to be evaluated on both price and other factors and then awarded to the highest scored solution. What makes this reverse auction format so unique is that buyers are able to integrate together the best aspects of a reverse auction and a Request for Proposal (RFP). 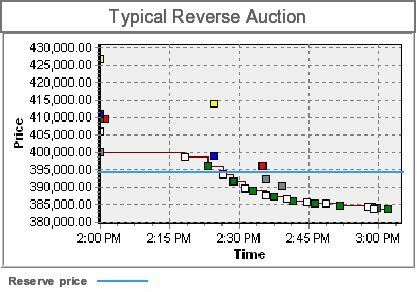 Traditionally, reverse auctions are awarded through a low bidder environment. Doing so has obvious benefits for traditional well-defined “commodity” type items. However, many of those benefits can become a detriment when analyzing other variables beyond price for the most advantageous solution. To create this system, TransparentRx worked with its software engineers for several months to develop this new type of reverse auction to handle such a complex task. Repricing is the recalculation of billed pharmaceutical charges based on the rates and rules a plan sponsor has negotiated through its PBM, TPA or ASO agreements. TransparentRx manages the complexities of administration and data maintenance with over 66,000 connected retail, mail-order and specialty pharmacies throughout the country. During the plan performance assessment process, claims are re-priced vs. actual pharmacy reimbursement. Additionally, the contract, plan design, rebates and HCPCS J code drugs are benchmarked against a fiduciary standard to eliminate wasteful and duplicative spending uncovering the true cost of PBM services. A lack of transparency could be the reason your plan overpays for its pharmacy benefit. Nine out of ten employers do not have radical transparency in there PBM arrangement with up to $400 thousand in available savings for a group with 500 members, for instance. Contact TransparentRx to learn more. On average, problems are found in 10% to 15% of paid claim costs, with recoveries of 10% to 26%. The return on investment is estimated to be ten to twenty times the cost of the audit. Moreover, one of the biggest returns is from prospective savings resulting from a contract market check review conducted in conjunction with the audit. The market check review helps to clearly define ambiguous contract terms to achieve more competitive market terms and rates. Contract market check reviews are becoming increasingly more common. Market check provisions also come with a variety of contract considerations such as their timing (e.g., midterm with changes effective the next plan year); what pricing can be compared; whether the PBM or the consultant (or both) conducts the market check; and, if by the consultant, the amount of information the market check will require. With both audits and market checks written into their contracts, plan sponsors are doubly armed to maximize their potential for savings, and PBMs will benefit from a more transparent relationship. Thanks to electronic auditing, claim audits are more effective than ever before. They can identify workings of a plan that can be improved, whether it is a single isolated issue or systematic/repetitive errors, noncompliance with the terms of a third-party contract or simple data entry errors. As noted, PBM audits are generally cost-effective. While certainly not guaranteed, it is not unusual to find savings exceeding the cost of the audit. At minimum, the plan sponsor can be rest assured that it has met its fiduciary responsibilities in the areas of managing its PBM contract and ensuring its plan participants receive the benefits to which they are contractually entitled.